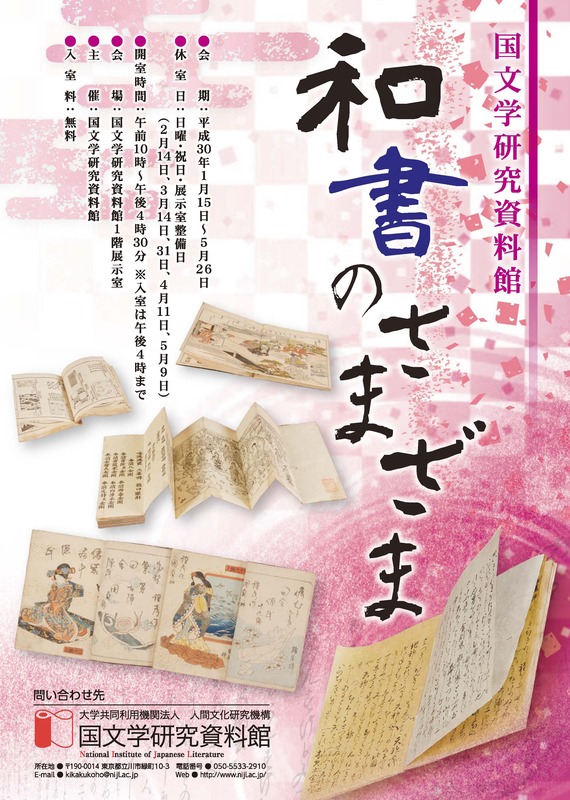 *Using a corner of the Exhibition Room, our newly acquired collections are exhibited with various themes like Tale of Genji, Nara-ehon and etc. The theme will be changed on regular basis. National Institute of Japanese Literature Address: 10-3 Midori-cho, Tachikawa city, TOKYO 190-0014, Japan TEL: +81-50-5533-2900 Copyright © National Institute of Japanese Literature All Rights Reserved.